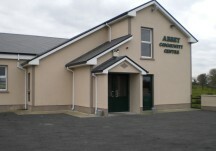 Abbey Heritage Group was formed in 2013 as a sub-group of Abbey Tidy Towns. A group of local volunteers with an interest in heritage decided to investigate and promote the heritage of Abbey. With the help of the Heritage Officer, Galway County Council, we set about putting together a Heritage Plan for the locality. This first step was facilitated by Ruth Minogue, Minogue Associates, who helped to draft the plan and the group then set about implementing some of the actions agreed. 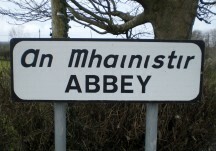 One of the first activities was to organise a Heritage Conference to help promote the very historical monastery - the Abbey of Kilnalahan - that is central to Abbey village and from which Abbey gets its name. Our next major project was to develop this website as part of the Galway Community Heritage project - a partnership between Galway County Council and the National Museum of Ireland. Our website is a member of the Irish Community Archive Network (iCAN). Anyone visiting our website who has an association with Abbey or with any of the surrounding areas or anyone who has a relevant story to tell is welcome to submit an article for publication on this website. We would appreciate getting any old photographs you have as they tell the best story of times gone by. We are always pleased to welcome new members to join our group, so if you are interested in any aspect of heritage, please contact us. Find us on R353, 19 km from Loughrea and 12 km from Portumna.